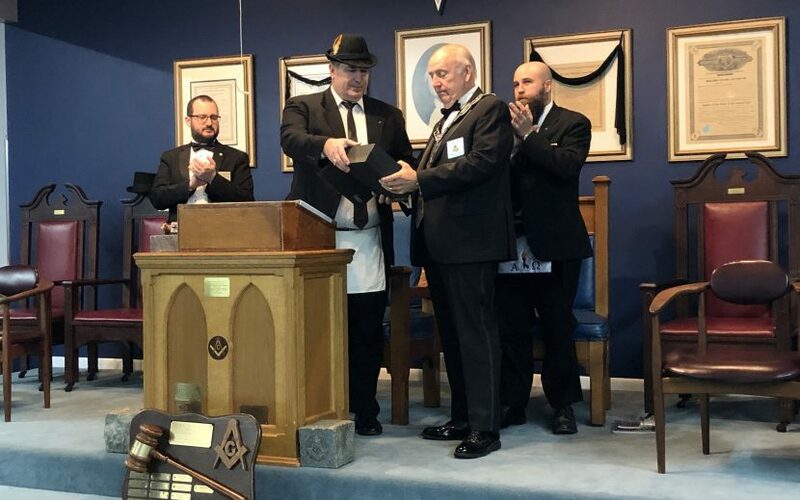 Last night on our Stated Communication, Brother Spencer Munjone, our Junior Steward, received the certificate of Mason of the Month for February 2019. Congratulations Brother ! Keep up the good work !